Update: On Tuesday, Alexandria Ocasio-Cortez made history as the youngest woman to be elected to Congress. 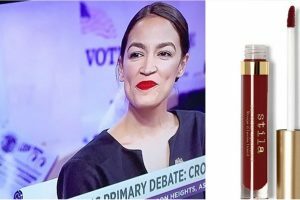 Back in June, she won the Democratic primary — and impressed everyone with her bold red lipstick, which she later identified as Stila’s Stay All Day Liquid Lipstick in Beso ($22). No word yet on whether her historic win has boosted sales in the same way it did a few months ago, but if it was close to selling out before — we have a feeling it’ll be flying off shelves in no time. On June 26, 2018, Alexandria Ocasio-Cortez, a 28-year-old candidate for New York’s 14th Congressional District, defeated 10-term incumbent Representative Joseph Crowley. 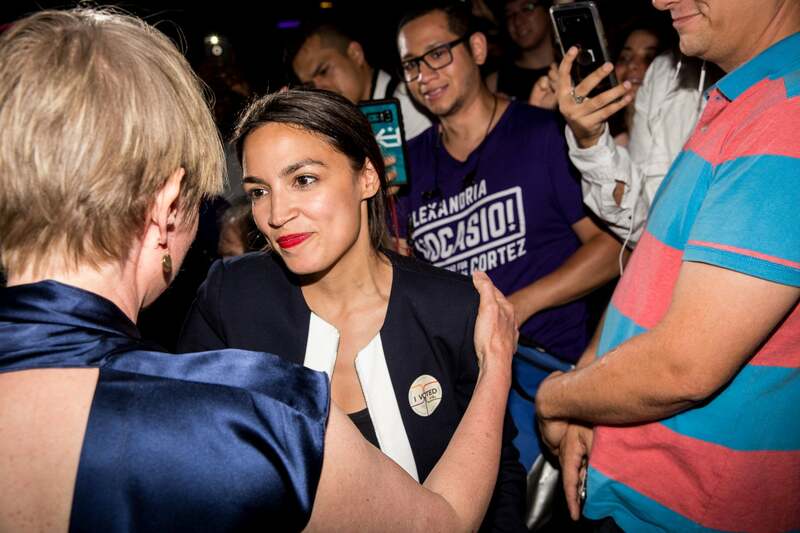 Many are calling the election a shocking political upset; if the Bronx-born Latina woman beats Republican candidate Anthony Pappas in the November midterm, she’ll be the youngest woman ever elected to the House of Representatives. We’re still not over the candidate’s impressive victory, but Twitter added just one more reason to root for Ocasio-Cortez: her lipstick of choice. The candidate just revealed the exact lipstick shade she wore to the Democratic Primary Debate, and it’s a classic power red with historical significance. The politician took to Twitter to answer the “many inquiries” she received on her preferred color. “I GOT YOU,” she wrote, adding that it’s none other than Stila Stay All Day Liquid Lipstick in Beso ($22). It’s hard to not find some symbolism in the brick red shade, as suffragettes in the early 1900s wore the hue while protesting for women’s right to vote. In 1912, the real-life Elizabeth Arden even handed out a similar lipstick to NYC marchers as a token of unity. Soon after Ocasio-Cortez revealed her scoop, Beso sold out on Sephora. (It’s still available at other retailers like Nordstrom and Stila’s own site.) There’s undoubtedly more to focus on than Ocasio-Cortez’s makeup preferences — her platform supports Medicare for all, abolishing ICE, expanding LGBTQ+ rights, and creating an assault weapons ban — but it’s empowering to see her repping such a storied lipstick color. Just as marching suffragettes united in the hue 106 years ago, women have responded to the original tweet in solidarity.